For 11 years, Faith Family Medical Clinic has been serving the needs of Nashville's working uninsured, and a new satellite office on Nolensville Road is helping meet demand while also expanding the clinic's customized services for immigrant patients. 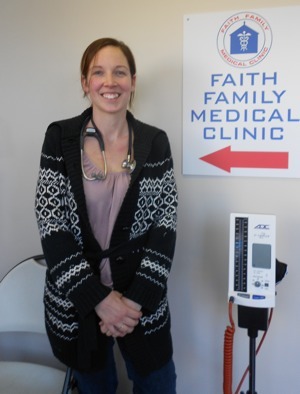 In the clinic's original and primary location in a converted house behind Baptist Hospital, Faith Family has a decade-long track record providing income-based healthcare to those who have a job but no insurance. New patients are required to bring only two things: proof of income (usually a recent check stub), and a photo I.D. - nothing more. Because of the clinic's success and support (annual fundraisers have filled the gymnasium and parking lot at Woodmont Christian Church), new patients have been flocking to the clinic. The high demand, however, has caused logistical problems, including a two-month waiting list. As a result, many would-be patients have decided to look elsewhere. Sick people have been turned away by a sympathetic but simply overwhelmed office staff. To stem the overflow and at the same time address the particular needs of Hispanics and many immigrant groups, Faith Family recently opened a satellite location on 3016 Nolensville Road. In addition to alleviating the demand on the original location, the new satellite office considers and attempts to alleviate the difficulty for newcomers of finding an affordable doctor with whom they can communicate fluidly and fluently. “The newly arrived ones have a lot of trouble explaining their problems” says Elizabeth ("Liz") Threlkeld, the satellite clinic’s bilingual nurse practitioner. Older patients, who tend to bring their children in to translate, are often surprised to meet medical professionals who can speak to them and diagnose their problems accurately, without the assistance of a translator.